All Teasdale homes currently listed for sale in Teasdale as of 04/21/2019 are shown below. You can change the search criteria at any time by pressing the 'Change Search' button below. If you have any questions or you would like more information about any Teasdale homes for sale or other Teasdale real estate, please contact us and one of our knowledgeable Teasdale REALTORS® would be pleased to assist you. "Laforborn Ranch is for sale! Includes fully operational horse ranch with beautiful custom Sante Fe stucco home, horse barn with 2 apartments and 8 stalls, hay barn, hay field and water company! The home boasts 3 large bedrooms all with bathroom en-suits and fireplaces, custom artisan tile work in all bathrooms and a kitchen fit for the heart of the home. Classy study with hardwood floors and built-in full cherry wood cabinets. The smart open floor plan with large windows takes advantage of the magnificent views of Boulder Mountain and Capitol Reef national park. Basement for furnace, hot water heaters, softener, and storage! 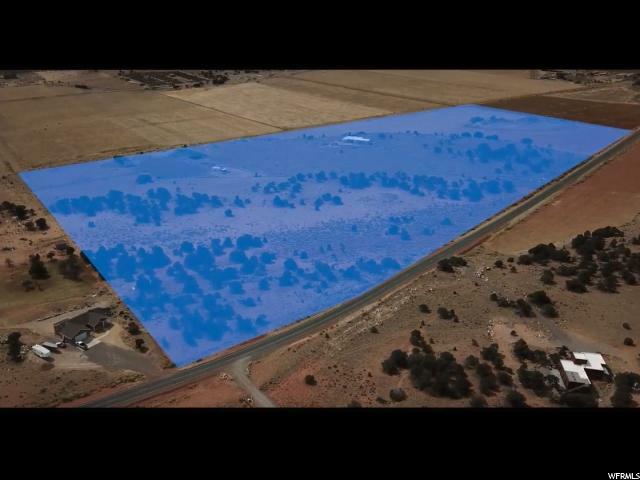 10 cropland acres provide hay for boarded horses and extra to sell providing additional income to the ranch (around 36 Tons of annual hay)--Currently in alfalfa. 10 shares of Teasdale Irrigation Company, Donkey A irrigation water and 2 water shares in the Laforborn Water Company for culinary water supply to the house and the barn with its apartments. The water system is a state-of- the-art city grade system. 45 acres on a small plateau overlooking Boulder Mountain, Thousand Lake Mountain, and Capitol Reef Nation Park. Approximately 20 acres fenced for horses with water and electricity for heating water trough. Large outdoor arena and round pen. Seven outdoor stalls, 4 indoor stalls, tack room, and wash bay with large central walkway in the barn. One acre is landscaped around the great house. 40ft x 80ft metal/stucco barn with two carriage apartments. Each apartment has two bedrooms, two baths, open living/dining/kitchen area and utility area with washer/dryer. These apartments have been used very successfully as rentals and are ideal for nightly rentals (Airbnb, VRBO, etc.). 20ft x 40ft hay barn: three sided, custom built to accommodate bale hauler. Capacity to store all hay harvested from the property. This ranch is famous having been featured in Netflix's popular horse documentary Unbranded. Contact the listing agent today t"
"We've finally been able to take a photo of the Black Hole. When not so long ago even the smartest man in the universe did not believe it existed in both time and space. In this case, there is plenty of space to have the time to watch the sun crossing the heavens and the stars blanket the evening sky. Believe me, this is dark sky country and the views are out of this world. On your way to Capitol Reef or even over Boulder Mountain roll your windows down, soak in the sounds of scenic highway 24 and feel the air gliding over you like the ocean waves. Greeting you with the deserts magnificent boulders, cactus, and nothing but open space stretching on both sides is an almost half a mile long personal driveway. 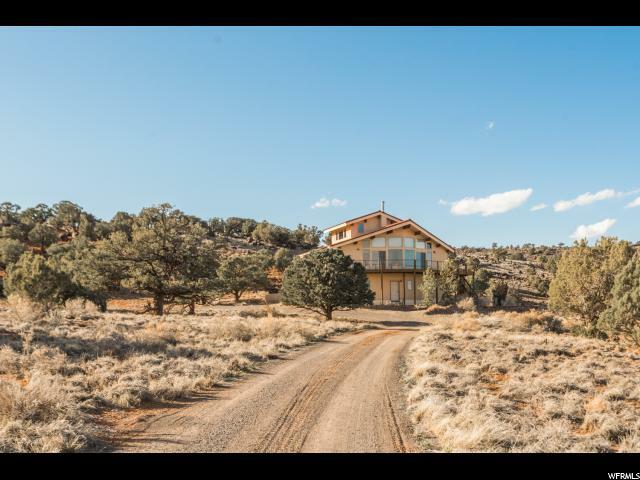 This stunning home is sited perfectly on 32 acres, with a cluster of boulders and pine trees that frame the home from behind. In front, you'll see nothing but open space as far as the eye can see. Step on to your spacious patio to catch a glimpse of wild turkeys or deer playing in your yard. Watch as the distant red rocks shoot up like young crocus in early spring. Listen as you hear only the sounds of mother nature whispering in the night. You will feel light years away from the crowds and traffic, but you are only a short ten-minute drive to the charming country store, restaurants and the art galleries on Main Street, Torrey. This home is not about the space you live in, but the space that surrounds you. Spend your time wisely and escape to your own spacious oasis in Torrey. "